The American Human Rights (AHRC-USA) condemns in the strongest terms the latest wave of terrorist attacks in Manchester-UK, Egypt, Iraq , Oregon-Portland and Afghanistan. These terrorist attacks and acts of hate are crimes against humanity that continue to shock the world’s conscience. The cycle of targeting innocent lives poses a true challenge to the whole world. 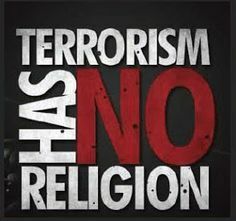 The culture of hate and terror is rapidly growing and rapidly spreading fear, destruction and terror. We should counter with the culture of respect of all human beings. AHRC-USA affirms that human life of every victim of war, terror and hate is equally precious regardless of the faith, color, nationality or origin of the victim or the perpetrator. AHRC expresses its condolences to all the victims and their families and wishes all the injured a speedy recovery. Together, we stand united against terrorism at home and abroad. “The recent wave of attacks present a clear proof that terrorism is a threat to all of us,” said Imad Hamad, AHRC Executive Director. “It is time to stop the politics of division and to focus instead on the common threats- all kinds of hate and terrorism,” added Hamad.